nowhere is safe in eastern ghouta. On February 18, 2018, the Syrian regime and its Russian allies launched a brutal assault on besieged Eastern Ghouta. Nearly 700 civilians were killed before the UN Security Council voted in favor of a 30-day ceasefire on February 24, 2018. This decision established humanitarian corridors so that medical workers and aid agencies could deliver life-saving aid and treatment for the wounded. World leaders failed to enforce this ceasefire as the Russian and Syrian regimes continued to bombard civilians – targeting schools, hospitals, and residential areas. More than 1,400 civilians have been killed since attacks intensified more than one month ago. 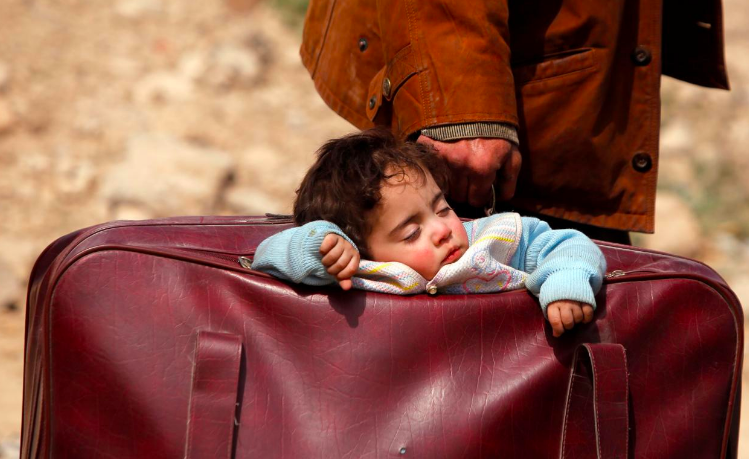 More than 50,000 civilians have been forcibly displaced, fleeing to nearby towns to escape the bombs. Thousands are unable to leave and are seeking shelter in underground basements. On March 20, 2018, a dark basement was no longer a place of protection but rather the target of a Russian airstrike. 20 civilians, including 16 children and 4 women were killed after a Russian airstrike targeted an underground school that served as a shelter to protect civilians from the bombing. Nowhere is safe in Eastern Ghouta. Families from Eastern Ghouta are making their way to Northern Syria in waves. Families are settling throughout Idlib and Rural Aleppo in camps, collective centers and mosques. Often times, families in Idlib are also hosting IDPs in their own homes. Reports from the field indicate that at least 20,000 people have arrived thus far, and the number is expected to increase. Our staff on the ground is operating in teams, with different members dispatched to various geographic areas in order to reach families that are scattered throughout Northern Syria. This way, displaced families receive assistance within hours of their arrival to their first destination. Karam staff and volunteers on the ground are working with local organizations to coordinate distributions of breakfast baskets that feed a family for 1 week and include food such as cheese, jam, bread and yogurt. Food baskets will be delivered directly to where families are being temporarily resettled.